The White House petition set up in support of Tesla Motors’ efforts to expand its reach throughout the United States is approaching the 100,000 signature mark. At publishing, the petition needs just under 2,500 signatures to meet the White House threshold for a response — and it has three more days to do it. Created last month, The “We The People” petition requests the White House order states to cease preventing Tesla from selling cars directly to customers. The company, which was started by PayPal co-founder Elon Musk, has been plagued with setbacks as automotive dealer associations have lobbied state legislatures to block Tesla’s attempts to set up direct-to-consumer operations. The electric car manufacturer has found opposition from associations in at least Texas, Massachusetts, and Virginia. At the heart of the matter are similar laws that state that in order for a manufacturer to operate legally, its representatives cannot “initiate or complete a sales transaction or deliver a vehicle on-site.” Thus, the need to franchise. Musk’s company thinks that model is outdated and has attempted to fight to gain an exception to the rule. 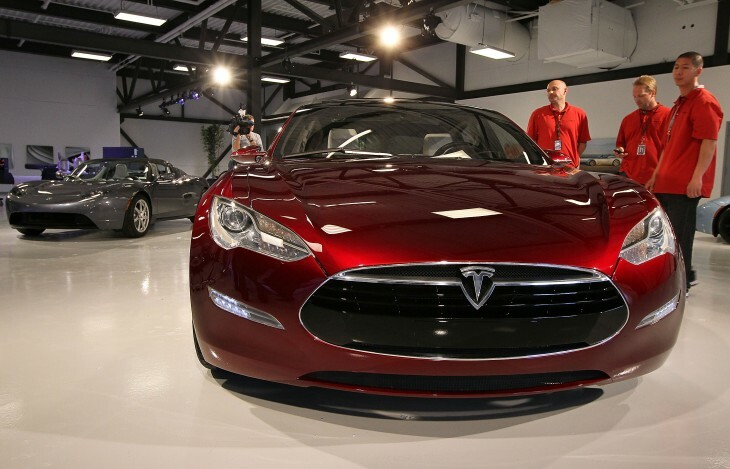 States should not be allowed to prevent Tesla Motors from selling cars directly to customers. The state legislators are trying to unfairly protect automobile dealers in their states from competition. Tesla is providing competition, which is good for consumers. Petitioners have until July 5, 2013 to help the solicitation reach the 100,000 goal. Once done, the Obama administration is required to respond. While someone from the White House will surely respond, it’s doubtful that the federal government gets involved in helping Tesla sell its vehicles — it could simply give a haphazard response that looks good on the screen, but provides anything less than actionable. By the end of 2013, Musk said, it will cover most of the metropolitan areas of the US, and Musk says that a drive from LA to NYC using only Superchargers will be possible. Both the density of Supercharger stations along routes and the overall geographic area are being increased. By having distribution channels in various places, not only can more recharging stations be set up, but on the rare occasion that a Tesla vehicle breaks down, there’s a place to get it maintained without it being shipped back to California. Of course the biggest advantage is that the company gets to sell more cars — increasing its revenue and moving it further into profitability.